I love to cook so bad. Especially when I move here with my husband. I even ask the recipe to those dishes that I want to make for my son and husband. Trust me I asked my mother, sister in law and sisters who cook. However, I have one big problem. Way back in Philippines we used symmetric so everything is way different to what American have. Since I was the one who move here, I have to adapt the environment and everything they have. I have to adjust from the food up to the tradition and environment. I am stubborn, I would rather get the equivalence and research of what will be the exact volume than adapting. I don't want to lose my Filipino Traditions and everything just because I move in other country which will be my country pretty soon. 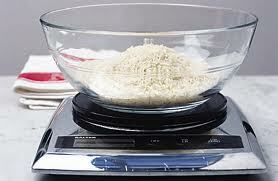 Last Christmas, I was given by my husband a weighing scale that has the volume measurement that I needed. Amazing huh! I know. I love it and it is pretty much helpful to me and my recipe. The question is, when will I stop cooking? Maybe never! Like I said I love cooking so it is up to my husband to pay for the gas fuel at home when I take care of his meals every night. I won't think about that at all. After admiring my new cook help. I was looking about breathalyzers, machinery repair and gas detection which one of it will be needed pretty soon at home.